Garuda Vega is one film which is quite important for Rajasekhar. For the very first time in his career, he has done a film which is made on a budget of about 30 cores. This itself has added a lot of pressure on the team and Rajsekhar himself. 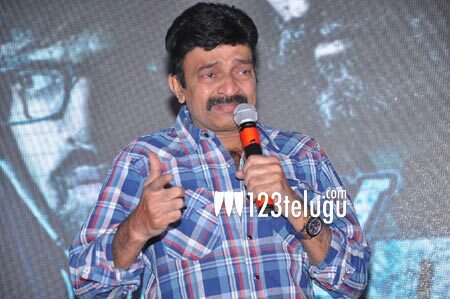 Speaking at the pre-release event, Rajasekhar became quite emotional and said that the right after the day the teaser was launched he lost his mother. This made him even more sadder and he said that as its his mother’s last wish to see him successful, he has pinned a lot of hopes on the project and is very confident that the film will be a big hit and bring him back in the game.